We were able to save 725 million rupees through tender procedure on procurement of coal. ‘In January of this year, until last, to the best of our knowledge, we called bids without going for a power purchase. Many people have seen this matter as an issue. We have done calling tender only. We stopped the proposed emergency power purchase first time by discussing with the General Manager and the engineers of Ceylon Electricity Board even though they faced issues’ Ravi Karunanayaka, Minister of Power, Energy and Business Development said. The Minister said this, while attending a special media session organized in the Ministry’s promises to disclose many prevailing issues in power sector to media. Minister Ravi Karunanayaka further expressed…. ‘Now 52 days have passed from my assumption of duty in this Ministry. Within these 52 days, we have launched a work plan to give a fast respond on the issues prevailed at the time of my assumption of duty in this Ministry. When I took this Ministry in my hand in 2019, it had been recorded that CEB was running at a loss of 8700 corers. I never can be a burden for the Minister of Finance. Therefore, we are in process of having discussions to convert this loss into profit. I promised not to increase electricity tariff which affects the electricity consumers. Even today, I am telling that our first tender was regarding the procurement of coal. We were able to save 725 million rupees through awarding that tender’. ‘Every year, we are talking about emergency power purchase, this is a funny thing. We have to eliminate this situation. From 2012 to up to now, even a single power project connecting power into National Power Grid has not been established. Therefore, we have to find out a way where we can generate electricity at a lower cost as could as possible. 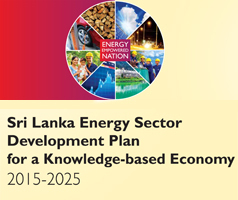 There are many power generators which caused the Ceylon Electricity Board to suffer a loss. One unit of electricity is generated at Rs. 50.46 from Kelenitissa Power Station belonged to Ceylon Electricity Board. The same one unit of electricity is generated at Rs.68.00, in North Province and its other areas. That is why we have thought to stop power generation at a high cost and try to generate such power at lower price than that of cost. Through this, it is expected to reduce the loss which now CEB suffers’. There are power stations belonged to Ceylon Electricity Board which generate 2868 MW of electricity and the power stations belonged to private sector which generate 300 MW of electricity. 4056 MW of electricity is received from all these power stations. Rs.22.76 is totally invested to generate one unit of electricity. However, one unit of electricity generated so is sold at a price of Rs.16.26. Therefore, there is a gap between cost of power generation and selling price of electricity, and this is the loss what we suffer. Only aspiration of the Secretary to the Ministry, the Ceylon Electricity Board and including me is to reduce this loss. If two power generators being idled and caused to suffer this loss should have been identified two years ago and found remedies for them, this loss suffered by CEB could have been converted into profit. This thousand and one hundred corer of loss is the result of not being taken right action. Our government needs to develop a work plan where prices can be reduced without placing burden on the general consumers and to protect Ceylon Electricity Board. For that purpose, we have launched a smooth journey having consultation with CEB employees. This is a pride for us’. ‘I have made a humble appeal by appointing a committee, two weeks ago to look into any shortcomings in my Ministry and indicate such deficiencies. At the time of appointing such a committee, many people had a doubt. However, we have now done it in practice what we said. If one or two persons staying in this Ministry for 24 hours and understand real or right things, through it we can defend against certain fabrications carried out by certain people aiming to gain undue political advantages’ the Minister said. 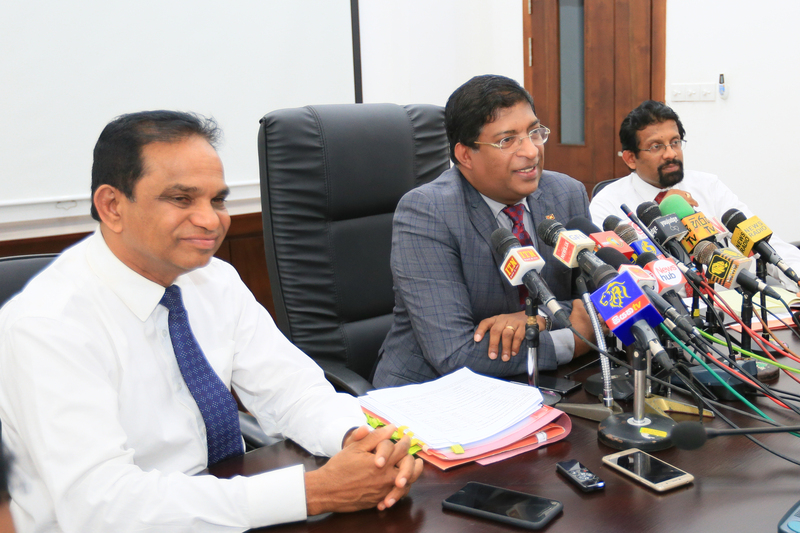 Dr. Suren Battagoda, Secretary to this Ministry also expressed his view during media brief…. ‘After this government came into power, an entire change was made in procurement of coal. This procurement of coal was changed as the best method in the world. All suppliers were registered. This was divided into two categories of long-term and short-term. This was transformed into a stage where there is a potentiality of 5 tenders per year. Competitiveness has come down. Now, any person can get registered him/her as a supplier. Now there are 24 suppliers. So far, we have awarded 14 tenders without any problems. In last couple of days, we have registered the Port of Indonesia as 25th supplier. As a result of this, 700 million rupees has come down in price. Our aim is to increase the competitions as could as possible and thereby reduce the price. Therefore, we added Venino Port of Russia in our supplier’s list. This Venino Port was registered as 26th supplier. After adding this port into our supplier’s list, 11 million rupees has come down in price. Just Venino Port had been registered only, then it was spoken through media that the Minister had gone to Russia and awarded the tender and thereby 6000 million rupees of loss suffered. With the addition of this Port solely 700 million rupees of profit was received. We have developed a methodology for procurement of coal in Sri Lanka without any problem forever. I am telling this with responsibility’ the Secretary said. Mr. Sulakshana Jayewardene, Media Spokesman of the Ministry of Power, Energy and Business Development also expressed his view at this media brief.